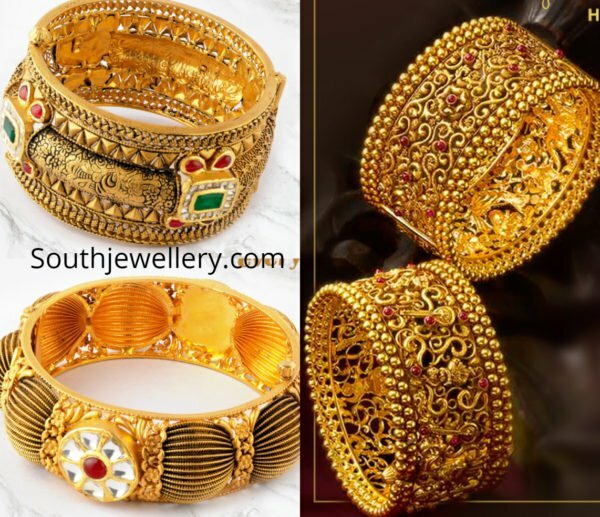 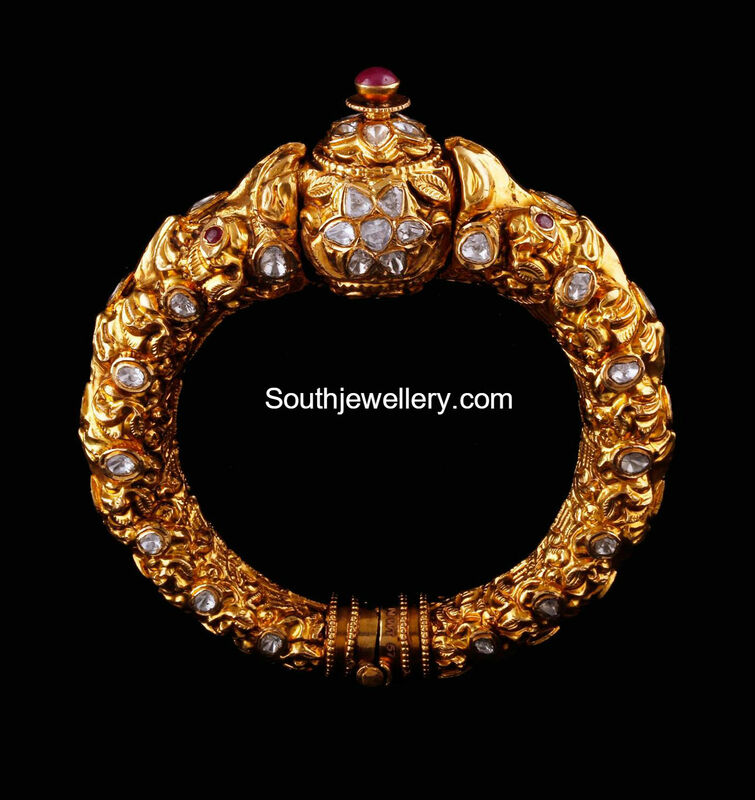 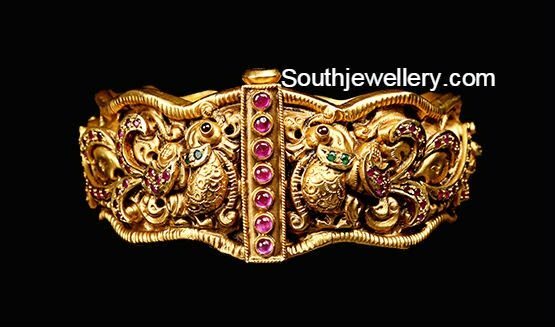 22 Carat gold antique bangles studded with rubies, emeralds and polki diamonds by Kalyan jewellers. 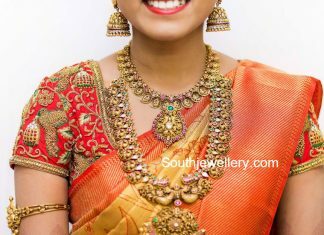 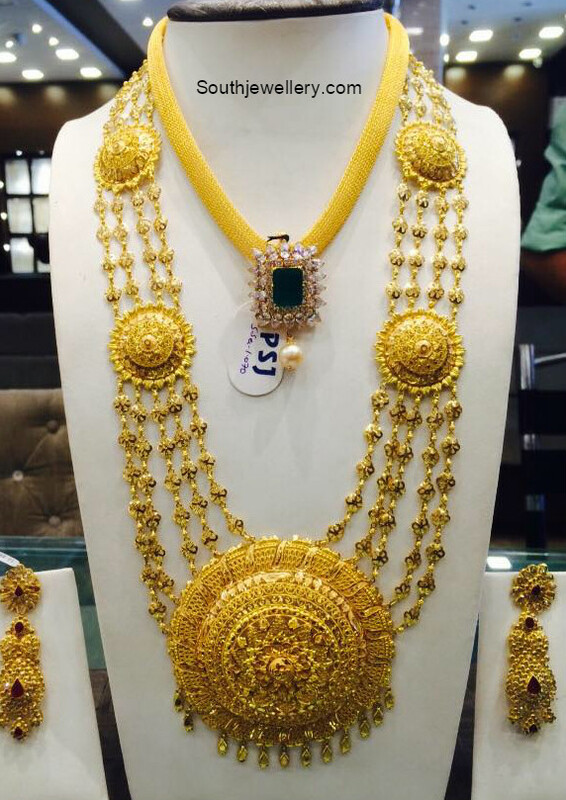 South Indian bride in antique gold nakshi jewellery. 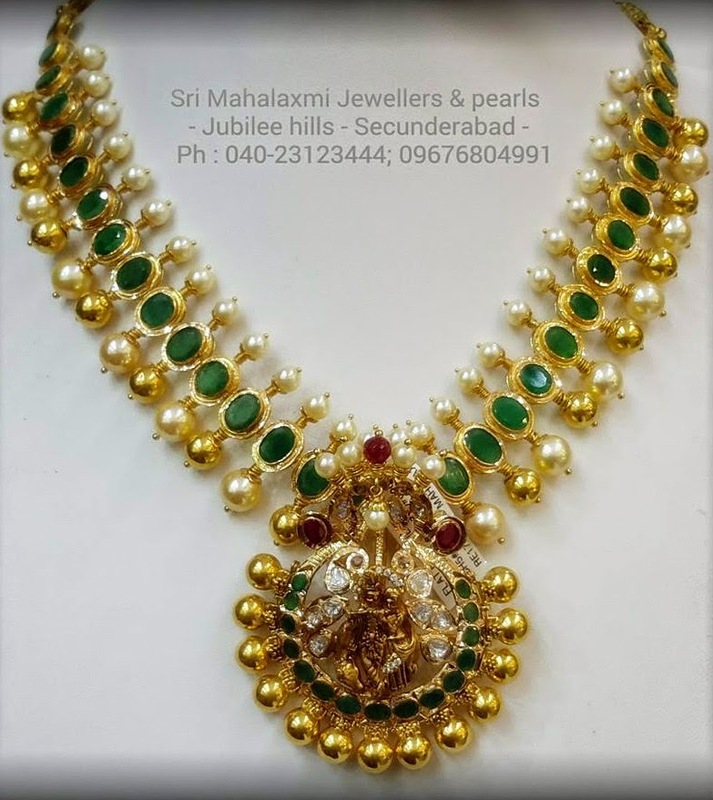 She adorned an antique mango nakshi necklace, nakshi peacock long haram, antique armlet and nakshi jhumkas.